Here is a great stocking stuffer! 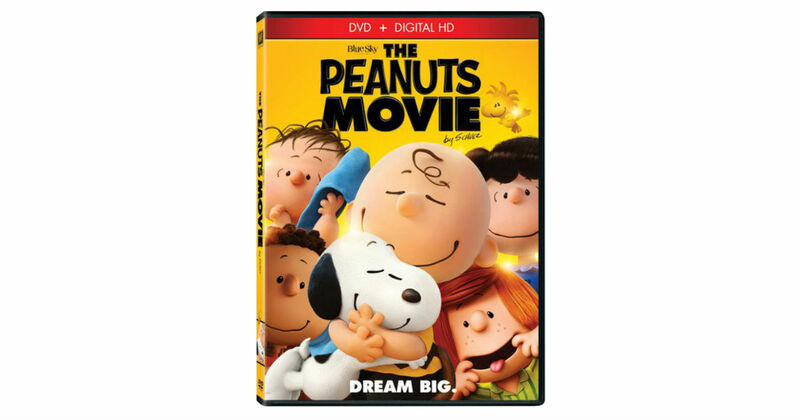 Get this classic, The Peanuts Movie on DVD for only $4.00 shipped on Amazon, regularly 9.96! DREAM BIG AND LAUGH ALONG with good ol’ Charlie Brown, Snoopy, Lucy, Linus and the rest of the beloved Peanuts gang as you’ve never seen them before — in a brand-new feature film from the imagination of Charles M. Schulz and the creators of Ice Age. Join everyone’s favorite eternal optimist, Charlie Brown, as he embarks on a heroic quest, while his beagle pal Snoopy takes to the skies to pursue his arch nemesis, the Red Baron. It’s a hilarious and heartwarming adventure that proves every underdog has his day!